Look, with all due respect to my great friends over in the Americana world, I want to annex Jim Lauderdale back to the cause of country music. By the (self-imposed) power vested in me, I plant a flag in his graying, shoulder-length hair and hereby decree he is country music’s property, only graciously on loan to Americana as an estranged and exiled refugee from the ridiculous environment making country inhospitable lands at the moment for a man of his talent. I know, country music screwed Jim Lauderdale over just as much if not more than anyone else, and he has every right to try and find a more suitable home. And as Americana’s official emcee at most functions, he’s an invaluable asset to the emerging genre. But my goodness, this man can make some damn good country music. 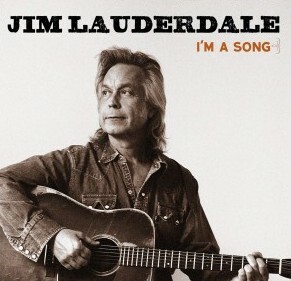 Into state’s evidence I submit Jim Lauderdale’s latest album I’m A Song. Twenty damn songs, and not a slouch in the bunch, and very country. Though Lauderdale has been known to shift back and forth between bluegrass, country rock, and more subdued, acoustic singer/songwriter-type stuff, this here folks is a downright honky tonk album, not cut, quartered, or diminished with any other additives. How in the hell does Lauderdale do this? Being prolific is one thing, but he’s like a songwriting quasar, shifting styles and still spitting out material faster than you can listen to it, and each song barreling you over with the quality and taste exhibited in every point of the music making process. 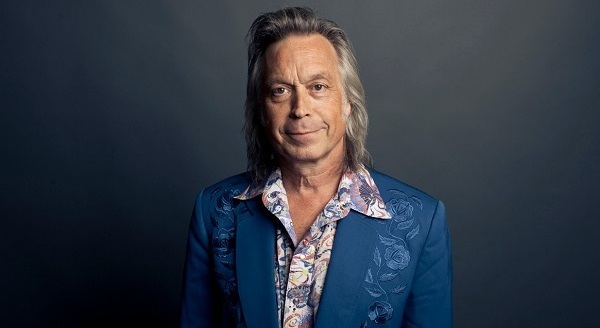 Just in the last two years, Jim Lauderdale has released five albums, including three as songwriting collaborations with long-time Grateful Dead composer Robert Hunter, and an album with his co-Americana captain Buddy Miller. All these albums had their strirring moments for sure, but I’m A Song is exactly what Jim Lauderdale needed to do: Take a deep breath, and release an album that could have a greater impact on the world outside the sphere that already knows about him; something that had quality and appeal from cover to cover, and in a unified and accessible direction. And not only did he do this, he was still able to include twenty damn songs. Many artists start at twenty and whittle it down to the ten or twelve best. Lauderdale starts with who knows how many, and ends up with twenty, and still with more quality and consistency than most of his competition. It’s because for such a creative genius, Lauderdale still has a lot of ‘Type ‘A’ Personality’ in his blood. And I’m not just talking about the 23 albums he’s released so far. Take into account all of the studio work and co-writes he’s done for other artists (10 cuts by George Strait alone), and that in itself would encapsulate an entire career’s body of work for many accomplished musicians and writers. That dedication and workmanship has resulted in tremendous output from a man that can be prolific in a way that doesn’t only refuse to cut corners on quality, it sets the standards for the industry and has his peers looking on with admiration. But Lauderdale is too good to just be considered a “songwriter’s songwriter”. I’m A Song proves that. Enough with this “hidden Americana gem.” He deserves a bigger stake in the music consciousness; more name recognition amongst the masses, no matter if his humble disposition naturally precludes him from the spotlight. The world needs Jim Lauderdale’s music. Whether you consider yourself a fan of country or Americana, or roots and even folk music in general, I’m A Song should be in your collection, and at the ready. I don’t even know where to start taking about these songs since there’s so many of them, and they’re all so great. The title track? Excellent. “A Day With No Tomorrow”, “Today I’ve Got The Yesterdays”, “There’s No Shadows In The Shade”, “The Day The Devil Changed”, “Neon Hearts”; any of these would be the best songwriting track on most any album, yet here they’re just one of many mind-blowing experiences Jim Lauderdale offers up. “End Of The World Rag” is one of the album’s big rocking anthems, and yet the songwriting suffers none. “Doin’ Time In Bakersfield” is an idea that’s been done a thousand times before, and yet Lauderdale still makes it sound fresh. In fairness, I’m A Song is slightly padded with material heard by the world before, written by Lauderdale and recorded by others, but not so much that it doesn’t feel original, and this is also what gives the album a level of accessibility some of his other albums suffer from. “The King of Broken Hearts” cut by Lee Ann Womack and Mark Chesnutt makes it on the track list, as does the song “I Lost You” once released by co-writer Elvis Costello. Both version here though are superlative, and make some of the best listening 2014 has offered so far. I’m A Song also speaks to the respect Lauderdale has amongst his peers from the names that showed up to lend a hand. Lee Ann Womack and Patty Loveless contribute harmony vocals to some of the album’s most cutting performances, while Buddy Miller, Stuart Duncan, John Oates, “Cousin” Kenny Vaughan, Dennis Crouch and Al Perkins fill out a cast of players that makes I’m A Song one killer track after another. And folks, it’s twangy, dirty, sweaty, yet still tight and slick in a country sort of way. It’s not refined like you may expect from a record labeled “Americana”, it’s peanut shells on bare wood floors. This is a songwriter’s album first mind you, with co-writing contributions from Robert Hunter, Bobby Bare, and others. But the music here is so incredibly savory you can listen with your brain off all you want and still find yourself completely immersed in the joy of music. I’m afraid this album may get overlooked simply because many people think of Jim Lauderdale as a known quantity, and because he’s so prolific, it’s hard to choose where to start with him, or to keep up with all of his releases. But I’m A Song should be considered right there with the other top albums of 2014. In a time when country music is looking for inspiration, Jim Lauderdale and I’m A Song arrive none too soon. Why did The Grinch dye his skin white? I’m not familiar with any of Jim Lauderdale’s music. I’m only 24 years old and only started listening to more substantial music over the past several years. Where should I start? From an early search, it seems that he’s released tons of music. Happy 4th, Trigger! Thanks for all the great work you do! Start here with this album Hank. I only read half the review before commenting then the rest afterwards and saw at the end where you said it’s hard to pick where to start! I’m gonna pick up this album soon. Thanks! I love Whisper, The Hummingbirds, The Other Sessions, and Onward Through It All. ‘Diesel, Diesel, Diesel’ one of my all time favorite tracks. There’s a version being played on sirius with Del Reeves that I haven’t been able to track down. Couldn’t agree more. Just listened to a lot of Lauderdale this week; he’s one of my favorite artists and, much like his good friend Buddy Miller, I imagine that someday people will wonder why Lauderdale was not considered one of the greatest artists of his era in country music. An amazing body of work over the last two decades. Great review, Trig! I couldn’t agree more with getting Lauderdale back on our team! I didn’t get my copy this week in the mail. I’ll give it till Monday, then I’ll have to get it digital (if I can wait that long)! Did Chesnutt also cover “King of Broken Hearts” or did you mean to type George Strait? Strait’s version is the more notorious one of the 3, maybe 4 versions. I just googled Chesnutt and ‘King of Broken Hearts’ and it came up as a track on “Wings.” I was out of my Chesnutt phase by then. Chesnutt definitely covered it. Had totally forgotten that Strait did it too, but now I remember seeing him perform it in the movie “Pure Country”, but it was only a partial performance I think. The first time I remember hearing it as a released song was from Lee Ann Womack. I think I have a copy of George Jones doing it as well. Jeez, I hope my copy comes in the mail today. This review has whetted my appetite for it. I think of Jim Lauderdale as an American roots music Renaissance man, with his home base being in bluegrass. He’s done two albums with Ralph Stanley and the Clinch Mountain Boys and then six more bluegrass albums on his own since 2006. I’m not familiar with his ’90s work, but this is his third country release since The Other Sessions. Even those albums that might fall into the Americana category tend to be pretty darn twangy. Headed for the Hills is a great example of that. Sometimes I feel like his Americana spokesman gig leads some people who might think of “Americana” as watered down or NPR roots music to dismiss Jim a little too quickly. Same with Buddy Miller. I think there’s a whole lot of country music on Buddy’s five solo albums and even the two Buddy and Julie albums. This album is destined to be ignored, and that’s a damn shame. It’s very similar to the Kellie Pickler album a few years ago. Everybody thinks they know what she is, and so it takes twice the effort to get people to listen. An unknown like Sturgill Simpson actually has a better chance. This might be the best album released in 2014. Mr. Lauderdale’s “Goodbye Song” was my anthem during my first soul crushing heartache. I will forever be indebted to him for getting me through that rough patch. His songs are a bit “quirky”. I can usually tell when when one of his songs are cut by other artists. Some of my favorites are George Strait-Round About Way, We Really Shouldn’t Be Doing This, The King of Broken Hearts; the Dixie Chicks-Hole In My Head. Agree on all accounts. “I’m A Song” is an outstanding album. I’d never listened to a Jim Lauderdale recording before, so I didn’t have the pretense that’s going to keep people from hearing this. “Neon Hearts” and “Doin’ Time In Bakersfield” are my favorite tracks at the moment. If people are complaining there isn’t any great country music being released this year, they aren’t looking very hard! After hearing this, I think you need to update your best of 2014. This belongs near the top of the list. Amazing country music. I’m sure it will be getting plenty of love on the year-end lists. The mid-year lists are sort of set in stone at this point. The Bluegrass Diaries and Patchwork River are two of my favorite albums. I guess as mainstream country has gone all to hell I’ve tended more towards the “Americana” (whatever that means) genre. I’d been traveling and out of touch, but reading this review has me wanting this album *right now* The only problem is, Amazon doesn’t have a digital version to purchase. Does anyone know where I can get it (iTunes excepted)?